Whilst taking the time out from our regular game and hardware reviews, what better way to relax in the hot British summer is there than to grab a pint from your favourite local? 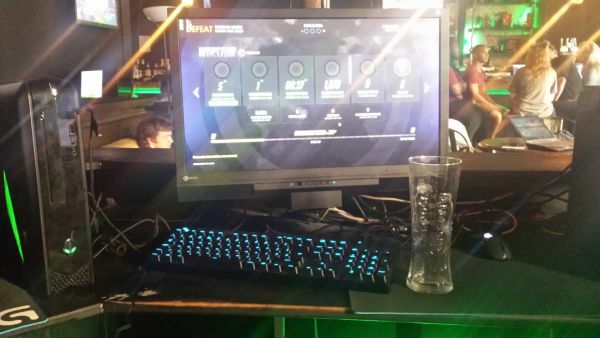 The answer – grab a pint and play your game of choice on a high-end gaming PC at the same time – in the pub! Sound like a fantasy? 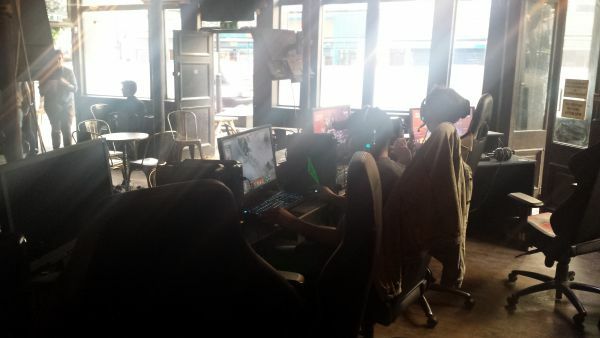 Well the Meltdown eSports bar on Caledonian Road in London makes it a reality. Yes – you’ve found it! No fanfare to be found here but in the middle of Caledonian Road amongst the dry cleaners, kebab houses and grocers lies a gamer’s dream come true! I will add the caveat at this point that I was visiting mid-week on a Wednesday night and I also emailed the venue using their online form (as I was coming from out of town) to ensure there was a fair chance of getting on a PC before committing to a journey to visit the place. I was pleased to receive a prompt and friendly response informing me that I was welcome to use the PCs but fore-warned me of a Hearthstone Tournament at 8pm at which point all the PCs would be in use. 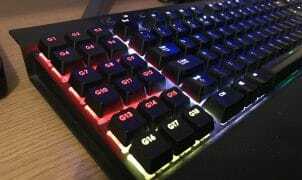 With this information to hand, I arrived at 6pm and was happy to get in a couple of hours uninterrupted gaming time, however, I would imagine that contention for the PCs would be much greater on a Friday night and at weekends. Your immediate reaction might be that you’ve walked into a Western Saloon bar where the locals would all look around at you like you’ve just walked in through the flappy doors. Well, actually this was not the case. Despite me striding into the place whilst donning my mighty RageQuitters T-Shirt, shorts and flip-flops and expecting the worst – I was instead welcomed by plasma TVs live-streaming a Heathstone match, folks happily clustered around some games consoles in the corner and the friendly barman that took me as I was without any prejudice; this truly is a pub for gamers. “What will this cost me?” You may ask. Amazingly, Meltdown bar only asks that you purchase a drink which cost me mere £3.50 for pint of Carling which was a bargain (especially for London). After a quick request to the barman to ask if I could hop on a PC, I was told I was welcome to help myself to the last of the 5 gaming PCs they had on a small stage at the other side of the room. I took my perch on the last PC available (coincidentally, the only one that had a 60hz monitor – the rest were sporting 120hz Eizo Foris FG2423 gaming monitors – doh!) and was welcomed by fellow gamers playing a mixture of Hearthstone and League of Legends. 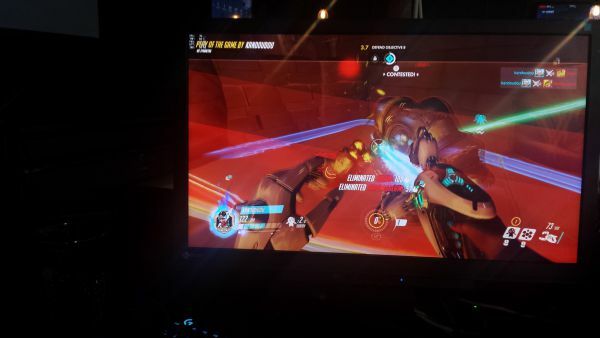 Each PC came pre-loaded with a large selection of the latest titles (including Blizzard’s Overwatch which was my reason for visiting) and after a quick login to my Battle.Net account, I was ready to play. The PCs on offer were fairly high-spec Alienware mini-ITX sized Desktops. Unfortunately the OS was fairly locked down (for obvious reasons in a public venue) so I couldn’t confirm the exact specifications. However, don’t let this put you off – the PCs at Meltdown were likely featuring full-sized graphics cards as I was able to play Overwatch on ‘Epic’ settings at 1080p around 75-100fps – none too shabby at all! PC’s were well spec’ed and very suitable for gaming – not your run-of-the-mill internet cafe for sure! Peripheral wise, the PCs were equipped with Logitech G-series keyboards, mice and headsets that performed well, though (as is always the case with PC gamers) I found myself missing the familiarity of my Razer Lachesis mouse at home! The PC, peripherals, seating and gaming area were, however, were surprisingly clean for a public venue which was most welcome. The local gamers were very friendly and one embarrassingly even had to show me how to turn it on – epic fail on my part! 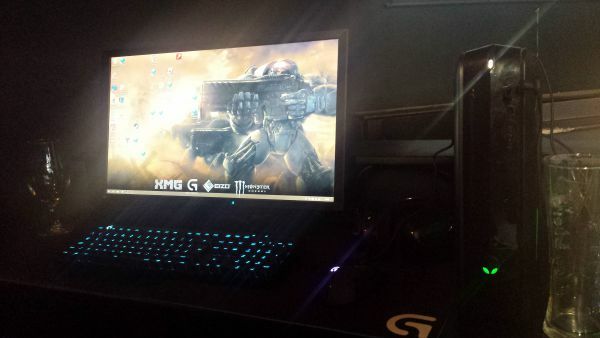 (top TerminatorUK tip – it is the silver ‘line’ switch on the diagonal front corner of the Alienware box facing you!). I was also warned to avoid kicking the sockets with my foot as it had a tendency to power-off all the rigs on the whole bank of desks (I wonder if that’s been used as the ‘ultimate weapon’ when losing in some competitive matches)! Overall, I thoroughly enjoyed my visit to the Meltdown bar in London. 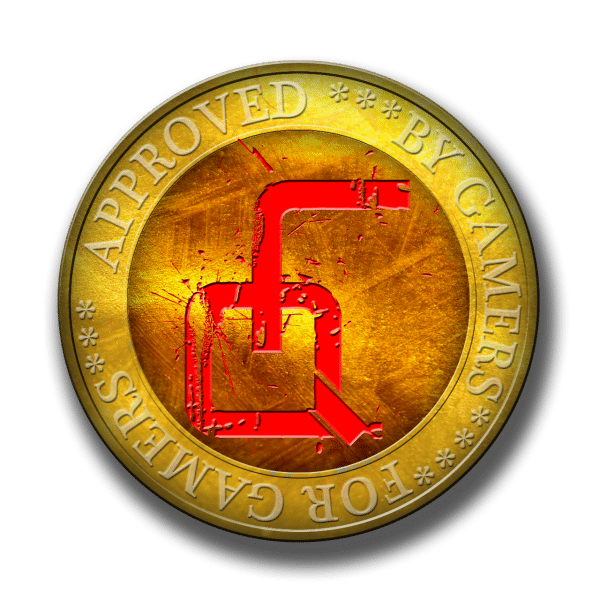 If you are a PC gamer and fancy a game and a pint in The City, I can definitely recommend paying them a visit (however, I strongly advise filling in the contact form here before visiting to ensure their are no events going on to save disappointment). 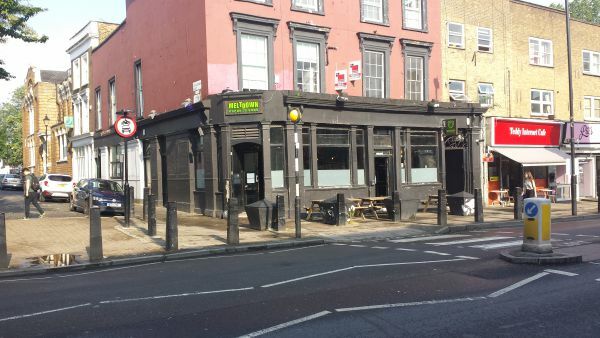 Due to the excellent PCs on offer, great beer price, lack of any additional charge for using the PCs (other than buying a drink), friendly locals, swift response to online queries and darn-right originality for creating a gamer-themed bar, I have no hesitation in awarding Meltdown bar London our prestigious RageQuitters gold award.